Hey everyone, today we’re going to be taking a look at some of the best affordable aviator watches for men. 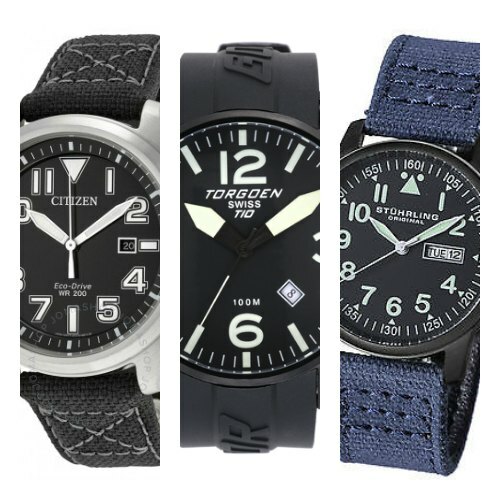 These pilot watches are all very affordable and hopefully within most people’s budgets. 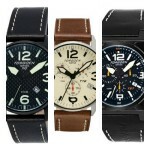 If you were interested in slightly more expensive pilot watches you should check out our Ultimate Pilot Watches post. 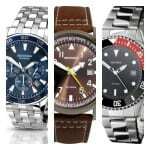 Today’s list looks at some of the cheaper pilot style watches that are available from such brands as Stuhrling, Sekonda, Limit, and Citizen. Many of them feature lume and high visibility dial designs as you’d expect from an aviator watch. They don’t feature some of the higher end features you’d find on more expensive models, but that’s the trade off you have to accept when we feature some of the most affordable aviator timepieces for men. I hope you enjoy taking a look through today’s list, as always let me know what your favourite was in the comments section at the end. 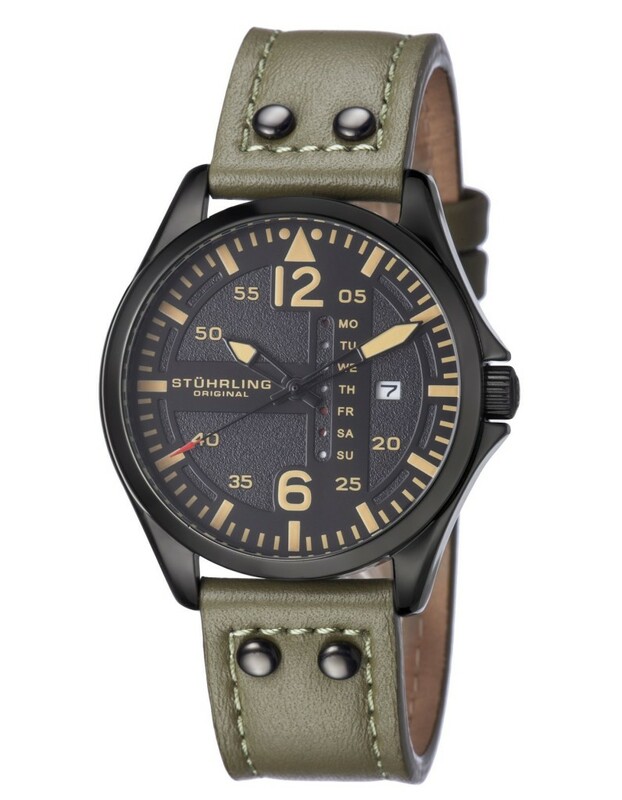 First up in our list of the most affordable pilot watches is this military style piece from Stuhrling. It’s a very affordable watch that features this easy to read display with an interesting day and date display that makes it a bit different. The pilot watch runs on a quartz movement and has a protective Krysterna crystal glass. As you’d expect from this type of timepiece, there’s a good coating of lume found on the hands and hour markers to make it easier to read in dim lit conditions. I particularly like this riveted leather strap that adds an interesting aesthetic flair to the design. 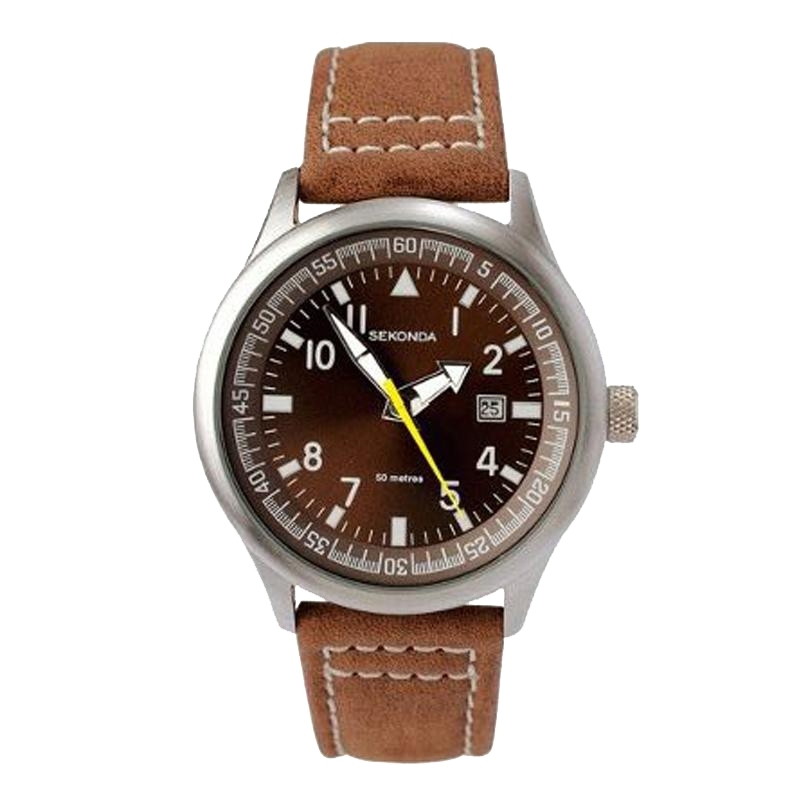 Another cheap aviator watch that’s worth considering is this model from Sekonda. It has that popular aviator timepiece style to it with the larger easy to read numerals and the high-quality lume on the hands and hour markers all for easier reading and visibility. I really like the look of this knurled crown too actually, not something I see all too often. 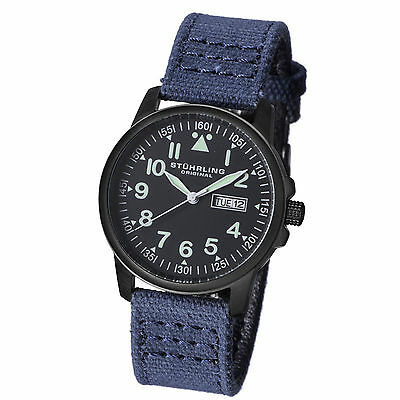 The watch features a nylon strap with a buckle style clasp which goes towards that military finish as well. 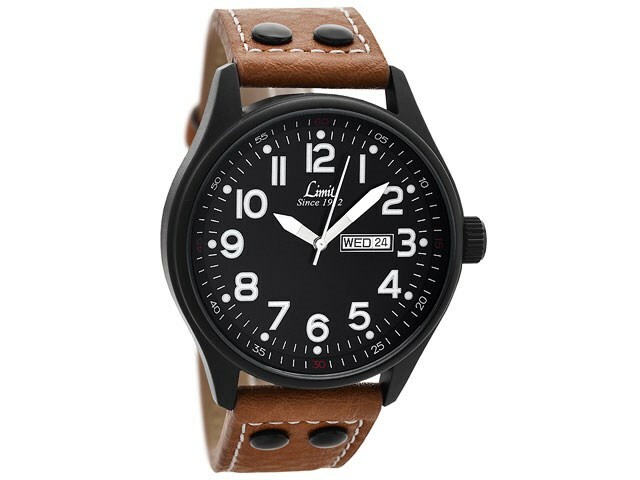 Definitely a top cheap aviation watch that’s worth checking out. 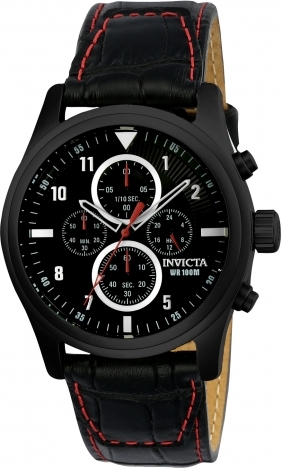 Our third pick for affordable flight watches is this chronograph aviator watch from Invicta. Invicta are known for their trendy affordable watches. This model features their popular flame fusion crystal glass which offers a great level of resistance from scratches and knocks. It has a chronograph quartz movement and a very decent 100m water resistance rating. If you’re looking for an affordable chronograph pilots watch, take a look at this model in more detail. Up next in our list of cheap aviator watches for men is another model from Stuhrling who are known for their affordable timepieces. As you’d expect we have that typical pilot’s high visibility display and lume coating on the hands and hour markers. There’s a useful day & date display located at the 3 o’clock position too. I really like the look of this black ion-plated casing combined with the blue fabric strap, I think they work well together. This watch is powered by a quartz movement and has a 50m water resistance rating which isn’t too bad at all considering the price. Limit are another brand known for quality cheap watches, you’ll often spot them in your local jewellery stores. This is an ideal choice for someone seeking a cheap pilots watch who wants that style without the price tag of all the extra features. It features a high precision Japanese quartz movement and a mineral crystal glass for scratch protection. The display is high visibility with these nice bold numerals as well as a good coating of lume. Like the earlier Stuhrling timepiece this model also has a comfortable riveted leather strap. It might not be the cheapest aviation watch, but for a Swiss pilot’s watch, this model from Torgoen offers some decent value for money. Of course, if you’re after higher quality pilot’s watches then you should check out our best aviation watches. 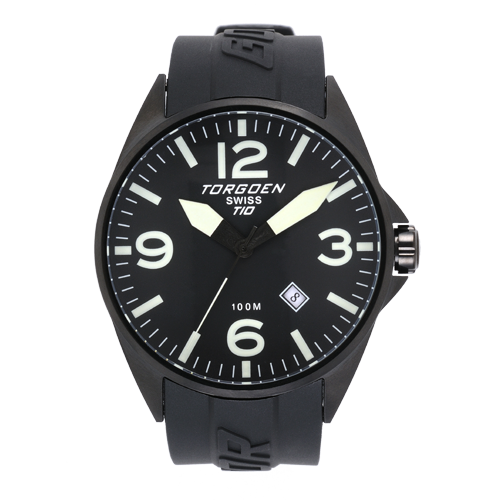 Torgoen make some decent Swiss aviation watches and this one has an incredibly high visibility display that I love the look of. The hands are extremely bold and coated in lume like the house markers making them very easy to read at night. The watch runs on a Swiss quartz movement and has a 100m water resistance rating. 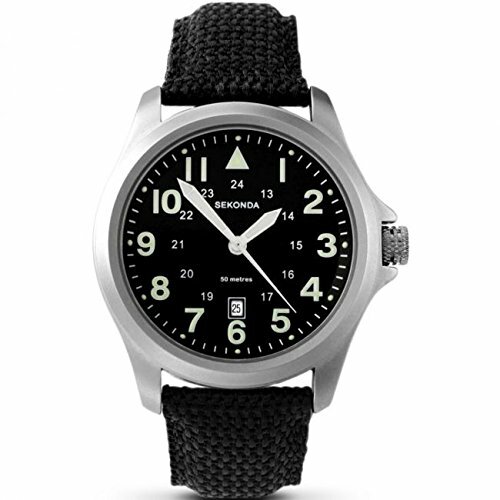 For the ultimate level of cheap pilots watches you have the Sekonda 3882. This is built for complete affordability for any budget in mind. Sekonda 3882.27 has a decent sized 42mm casing and comes with a comfortable genuine leather strap. There’s a small date display on show as well as the second hand in a high contrast colour to add a nice splash of colour. The watch runs on a reliable accurate quartz movement and has a 50m water resistance rating. 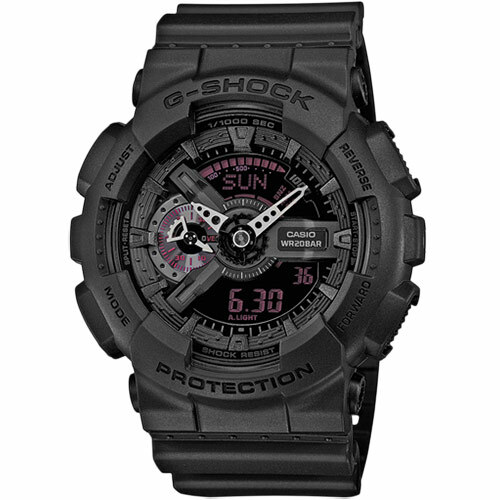 Casio’s range of G-Shock watches provides some of the best affordable durability available in timepieces of this style. They’re very hard wearing and feature this thick protective resin coating that surrounds the mechanism of the watch. It has a large selection of features such as a world time display, stopwatch, repeat countdown timer, 5 alarms, and a 200m water resistance rating. 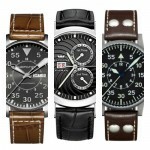 Notably one of the best value men’s watches available. Head here to view more watches with both analog and digital display. 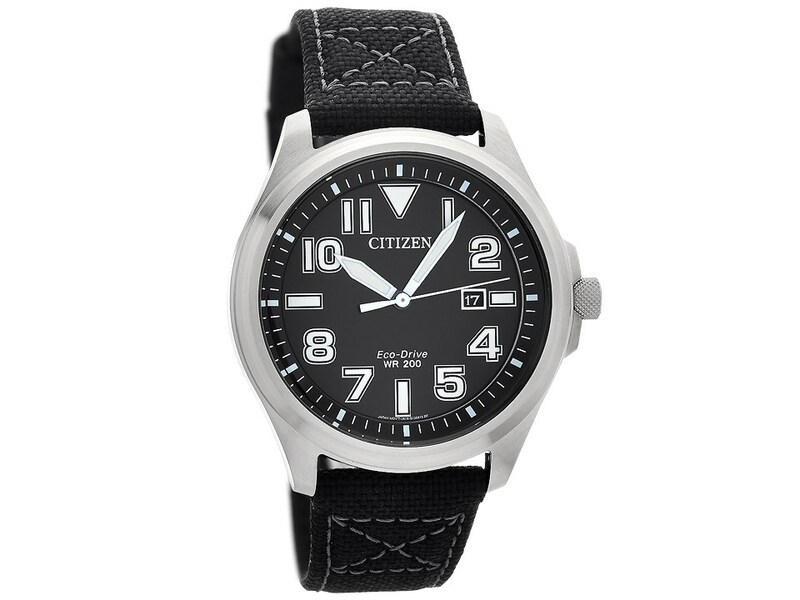 The last watch to be featured in our list of affordable aviator watches is this popular Citizen watch. The AW1410-08E features a high visibility display that’s standard for typical pilots watches. A key feature of this aviator watch from Citizen is the Eco-Drive movement. Citizen’s Eco-Drive technology has proved so popular it’s now found in a large majority of their newer timepieces. This movement is powered by light, be it natural or artificial and never requires a battery, pretty impressive in my opinion. I hope you enjoyed taking a look through these 9 best affordable and reliable aviator watches for men. With any luck, you’ve found a timepiece suitable for you, or at least been pointed in the right direction. If you want to take a look at more top watch lists you can pick through any of the related posts below. As always comment below and let me know what your favourite was from today’s list. Or maybe you have a decent affordable pilot watch you think I should add to the list?